When you have water in your basement, you need a repair fast and done right—and that means done right the first time. Here at Installed Building Solutions II, we understand that and can provide professional, timely waterproofing and wet basement repair solutions. Contact us to resolve your basement water problem! We install fiberglass batt insulation for retrofit and new construction projects. We provide blown fiberglass and blown cellulose insulation solutions for homeowners. 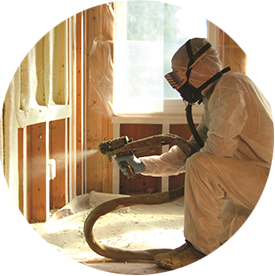 Our team installs energy-efficient spray foam for retrofit and new construction projects. We provide quality closet shelving and storage solutions for homeowners, builders and contractors. With our drain tile system installation, you can help prevent water damage in homes you build. Contact our team if you’ve experienced water damage in your basement.